Joseph has worked in the mental health/social work field for over 30 years. The vast majority of this time since then has been providing dual diagnosis treatment to a wide variety of clients in a wide variety of levels of treatment. He has been a successful private practice therapist for 24 years and is now moving his practice to Clinical Psychological Associates. His areas of focus include treatment to teens, adults and older adults. 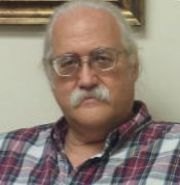 He has served his clients with a variety of techniques and approaches but always with a focus of the client setting the direction of therapy. Joe is a licensed clinical social worker, certified as a substance abuse counselor and has received training for treating gambling problems. He meets with clients individually, and also provides couples and family therapy. He is currently working with males and females age 16 and older and would be glad to talk with you to discuss your concerns. He would be happy to have a genuine, caring conversation with you about your issues and help give you options and ideas about what areas and directions you are willing to change. Feel free to give Joe a call today!